Two youth pastors from different churches in the same town develop a friendship. Their relationship is so encouraging to each other that they begin to wonder if perhaps it could also be an encouragement to other youth workers. They decide to start a podcast, which leads to all kinds of cool things, not the least of which is an even deeper friendship and sharpening as youth workers. Yes, it’s our story. But it’s also the story of Zac Workun and Chad Higgins from Youth Ministry Booster in Tulsa, OK. About four years ago, Zac and Chad leveraged their friendship to start what was then known as the After 9 podcast. 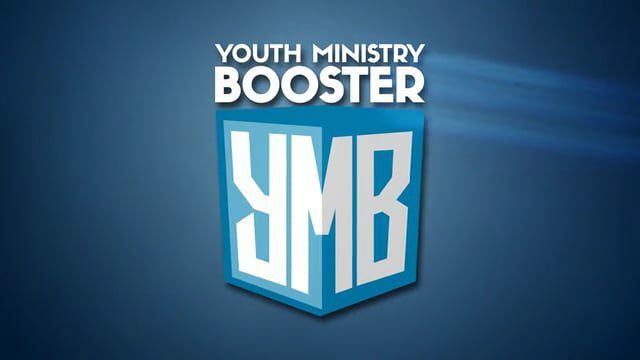 That eventually morphed into a entrepreneurial endeavor known as Youth Ministry Booster. YMB has become a multi-faceted, much-needed resource. Youth workers from all over the country seek out YMB to find mutual encouragement, sharpening, coaching, and of course, podcasts. We have been fans of YMB from afar, and met them briefly last fall at the National Youth Workers Convention. We thought it would be fun to connect our shows. Chad was unable to join us, but we had a great conversation with Zac about the value of networks, the joys of longevity, the differences in ministry culture from the Bible Belt to the East Coast, and the mountain of sherpa-related metaphors that can be used in one episode. We especially want to thank Zac for giving us an idea for a new show: “Sherpas on Love.” It’s going to be big! We hope you enjoy this podcasting union. They have several podcasts, available on all platforms. There really is a Gotebo, OK. Population 226. You can hang out with the Youth Ministry Sherpas and the Youth Ministry Boosters at the Youth Leader Summit, May 22-24 at Harvey Cedars Bible Conference in NJ!